As new technologies develop, terrorist groups are developing new methods of attack by using the Internet, and by using cyberspace as a battlefield, it has become increasingly difficult to discover the identity of attackers and bring them to justice. The seemingly limitless boundaries of cyberspace has allowed virtually anyone to launch an attack from a remote and anonymous location. But once these attacks occur, it raises several important questions; who should respond, and how? ; how should nation-states effectively deal with a cyber-attack? ; and will the United States and other nation-states be able to survive in a world where virtual boundaries are limitless? 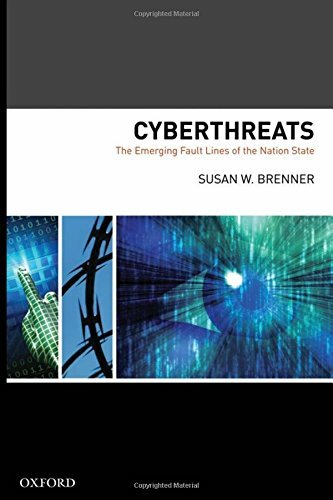 In Cyberthreats: The Emerging Fault Lines of the Nation State Susan Brenner gives a thorough explanation of how military and law enforcement personnel respond to these attacks and why bringing cyber-terrorist to justice can be difficult and sometimes impossible. View More In History & Culture.